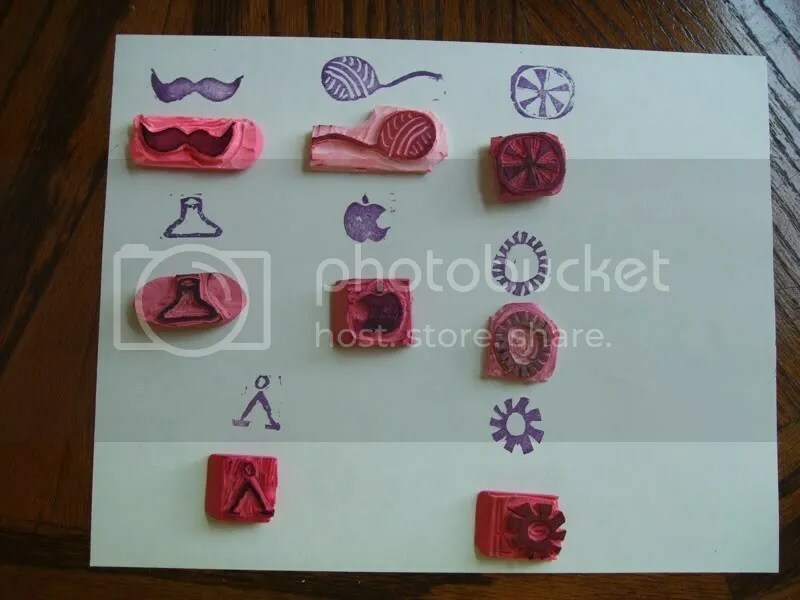 Stamps! That I Carved! | Stitch, Brinn, Stitch! Mustache, yarn ball, Erlenmeyer flask, Mac apple, the Earth symbol from Stargate (I just recently finished (and LOVED) SGA and have started SG1), and three gears (I was going for a little steampunk-y). I’ve also been knitting. I’m almost done with the red/blue striped socks and I started a lace shawl. I also whipped up a set of nesting bowls for a swap. But more on those later.